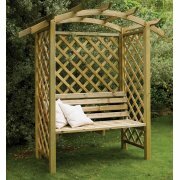 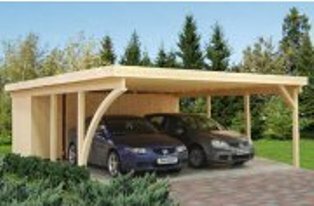 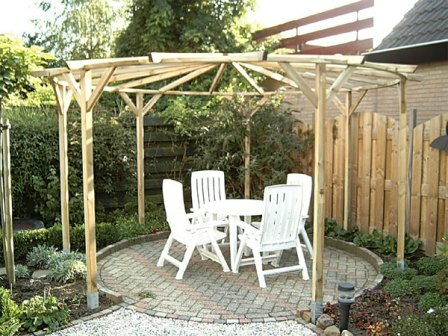 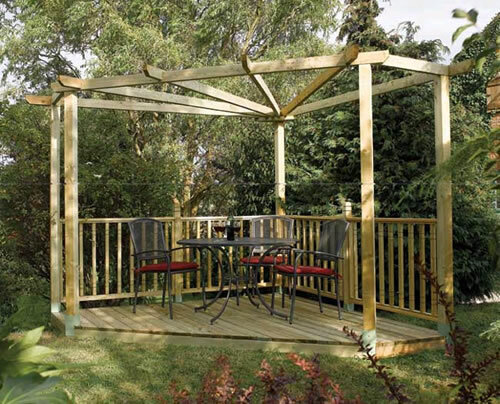 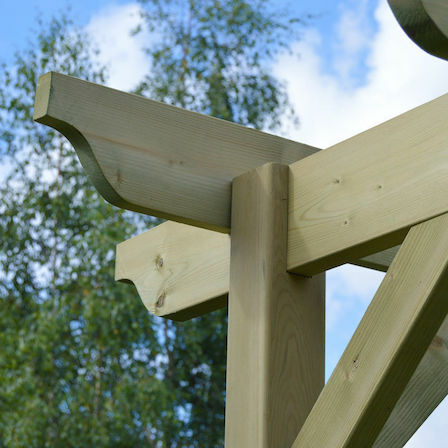 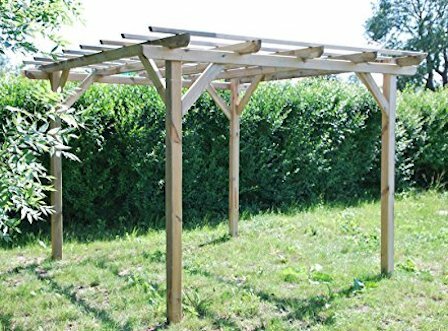 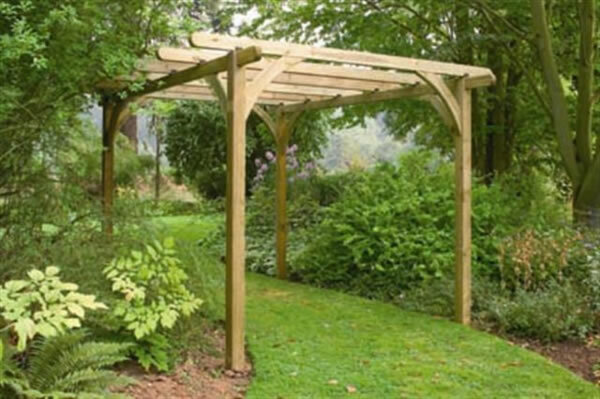 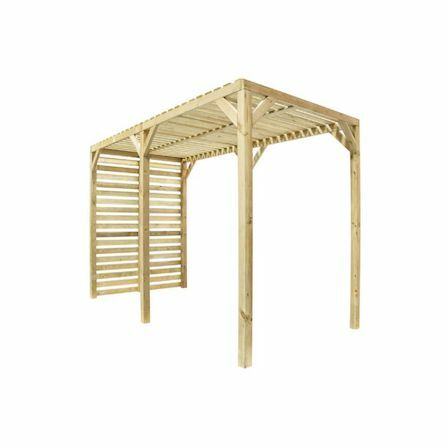 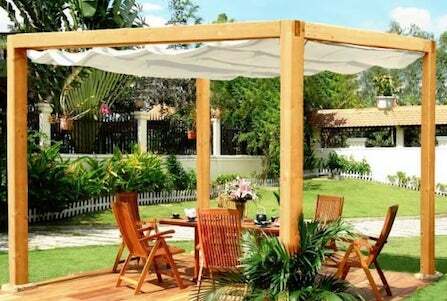 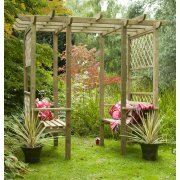 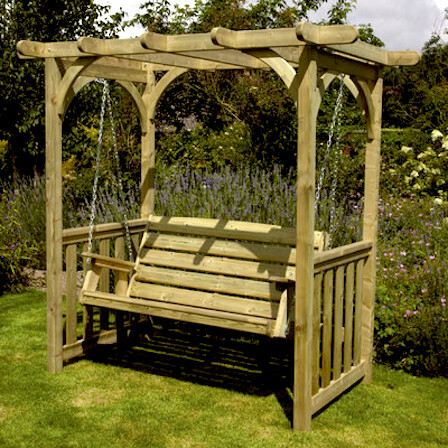 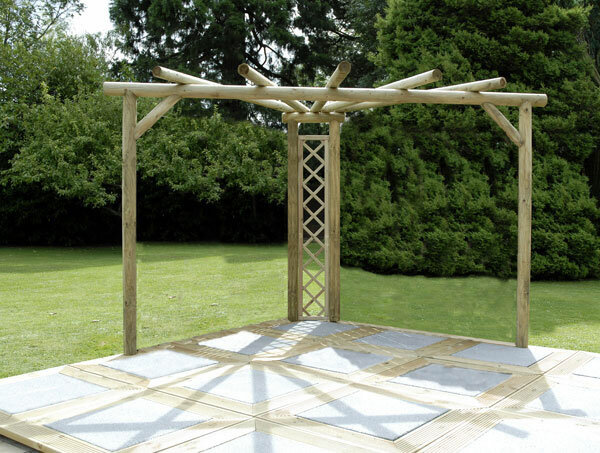 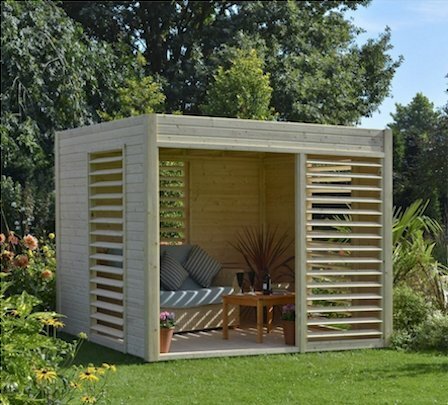 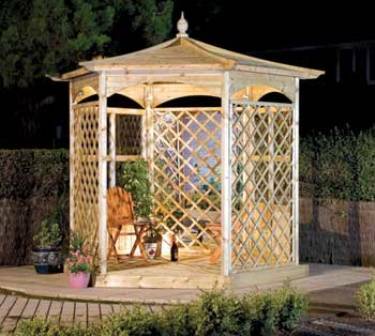 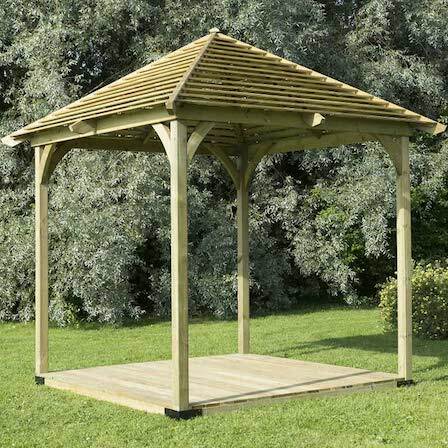 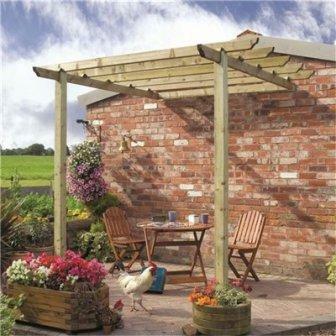 Wooden pergola kits are the usual choice in most gardens. 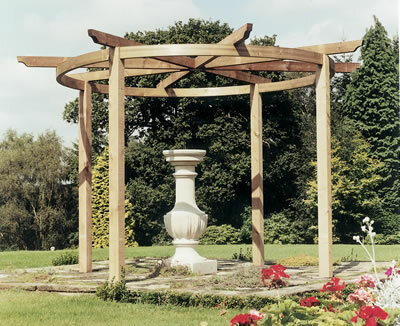 Wood is a natural material and therefore gentle on the eye, especially in a more traditional garden. 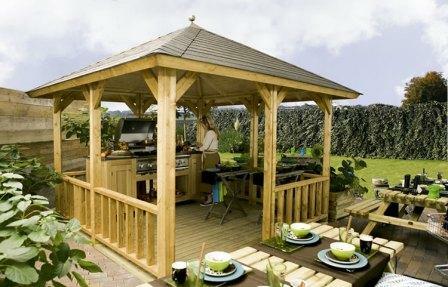 It also has a warmth to it, and it can be beautifully crafted - even if it is by machine! 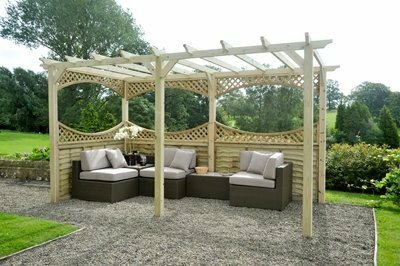 Even though we often associate wood with a cottage garden, some of the more modern pergolas can look very chic and elegant. 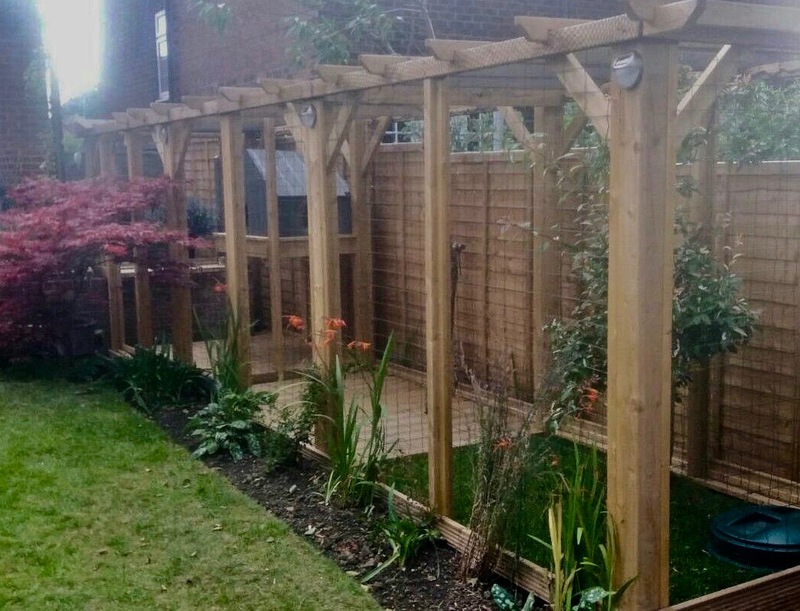 Clean lines and simple forms set off the planting really well, with the plants softening the edges and emphasising the contemporary feel of these wonderful structures. 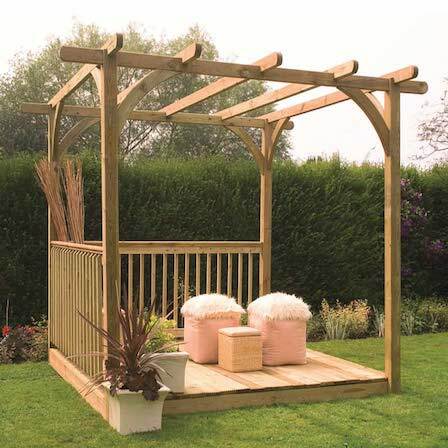 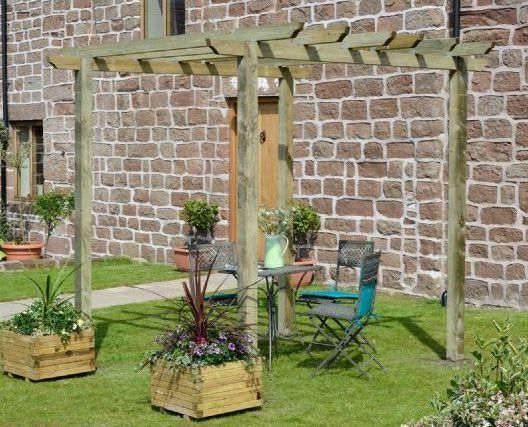 Here are some pergola pictures to give you ideas and inspiration, with links to places where you can buy one of these lovely garden features. 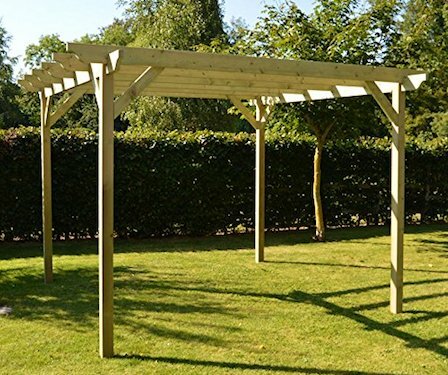 Before making the final decision on your pergola kit design, make sure that the pergola style is going to blend in with your overall garden design. 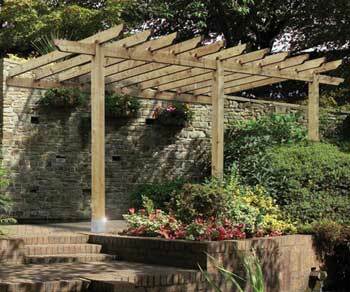 Your pergola needs to fit seemlessly, as if it had been there for ever. 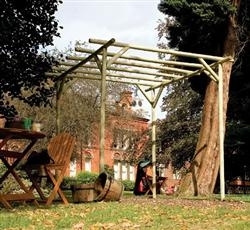 A feature pergola is fine for the middle of a lawn. 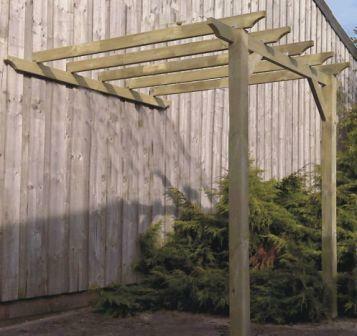 However, a long, walkway pergola needs somewhere to go! 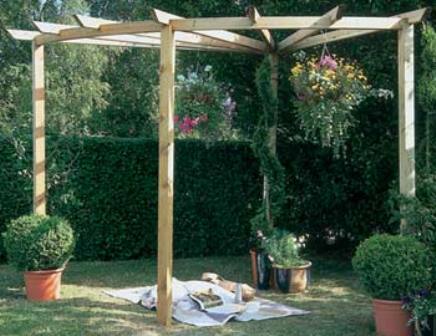 There are so many different ways to use a pergola in the garden. 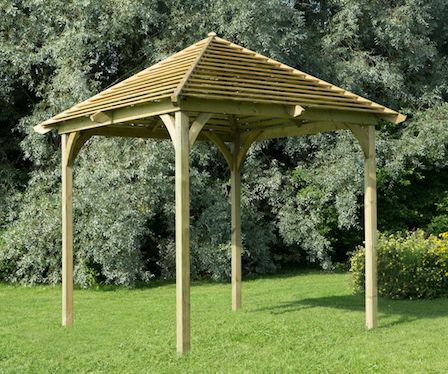 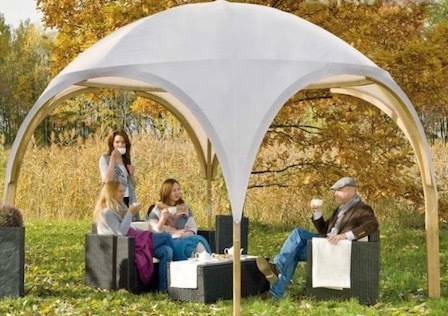 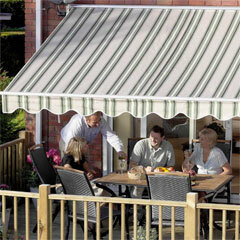 For entertaining an attached lean-to pergola is ideal, a circular or hexagonal pergola gives an intimate feel and a pergola canopy with an awning can lend protection against the heat, providing welcome shade. 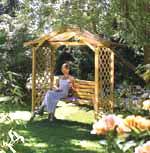 So many interesting ways to make your garden an interesting place to spend time! 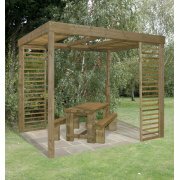 I hope these pergola pictures have given you some ideas on which pergola kit you might like to buy. 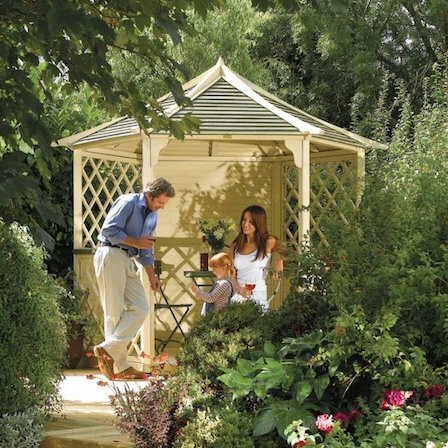 Pergolas, gazebos, arbours and arches really do make a statement in a garden, giving it height, interest and a wonderfully welcoming space in which to entertain or simply relax. 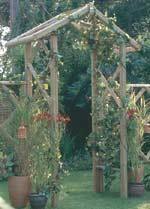 When you are finished, try covering your newly acquired pergola in wonderful climbing plants. 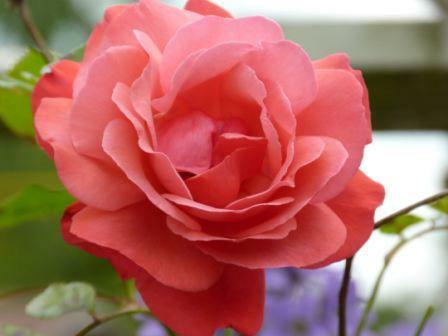 They really are the icing on the cake.